To achieve long-distance transport and site transshipment, convenient and flexible. To achieve the ground for the material, high-altitude tile integrated, energy efficient. It is a set of hoisting, unwinding and pressing tiles, which are made of hydraulic, and electric system. One of the new color steel tile molding equipment. Change the traditional construction of steel roof panels, since the mobile function, reduce construction costs, product design, the optimal appearance and structure of lightweight. 1, to achieve long-distance transport and site transshipment, convenient and flexible. 2, to achieve the ground for the material, high-altitude tile integrated, energy efficient. 3, direct use of construction power, reduce operating costs. 4, full hydraulic drive, simple structure, safe and reliable, easy maintenance. 5, the vehicle using PLC control, can achieve both panel and remote control mode of operation. 6, to achieve a variety of models tile machine swap, a wide range of applications. 7, the maximum height of 16.5m for the plant to adapt to any slope of the plant. 8, for the maximum color plate thickness 0.8mm, the length of any set, automatic cutting. 9, the original product design, the optimal appearance and lightweight structure. 10, the product obtained a patent for invention and two utility model patents. 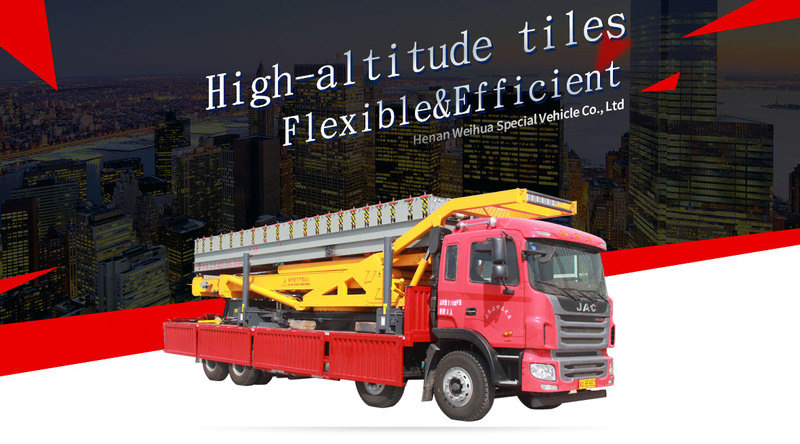 Henan Weihua Special Vehicle Co.,Ltd. (referred to as HenanWei Te) By the Weihua Group and Singapore Terra Lite joint venture to creat a registed capital of 100 million yuan, located in Henan Province Changyuan Country Automobile Industrial Park. 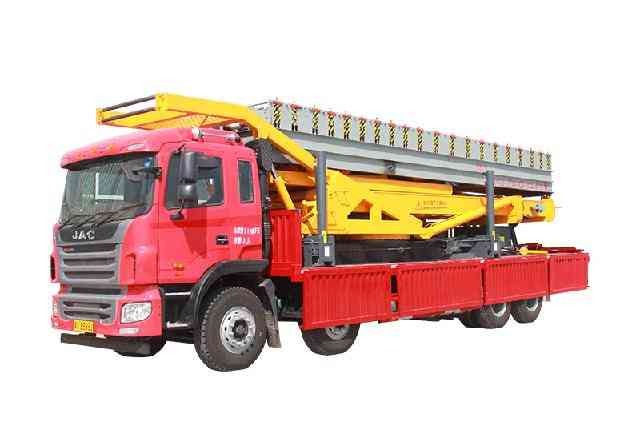 Since its inception, the company has been committed to industrial vehicles, enviromental equipment, special vehicles, high-altitude operations and lifting equipment R & D and manufaturing. Leading products and service in urban construction, urban management, urban maintenance and moden logistic and other important areas. Interested in the product? Tell us what you need, and we will offer you the best price!